Our day started with a delicious 6:15 am breakfast at Jim and Lynda’s home. 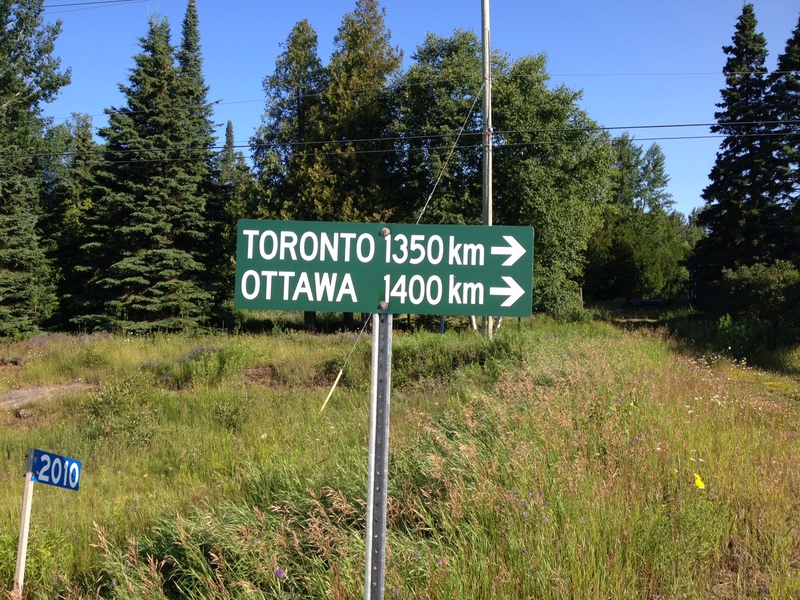 Just outside Thunder Bay we saw this sign… Good to know we are going the right direction. Temperatures were cool which made for a good day of riding. 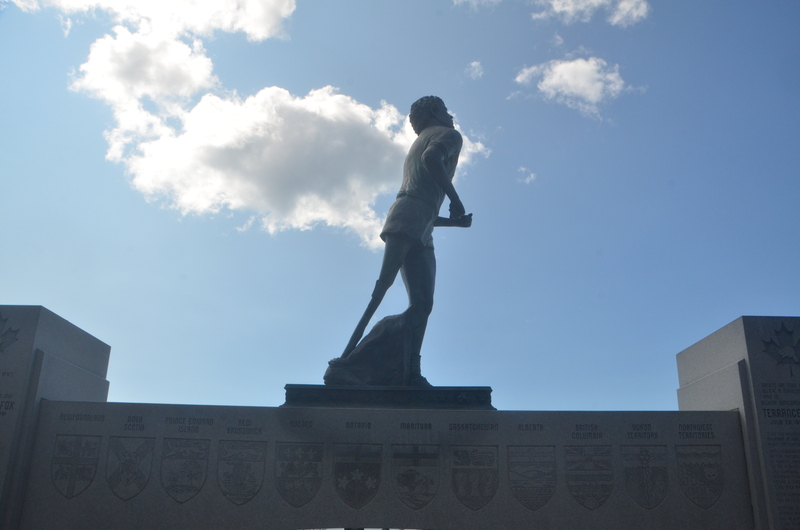 Rob and Jacquie visited the Terry Fox memorial off Hwy 17. The road is a limited access highway so we could not ride our bikes via that route. 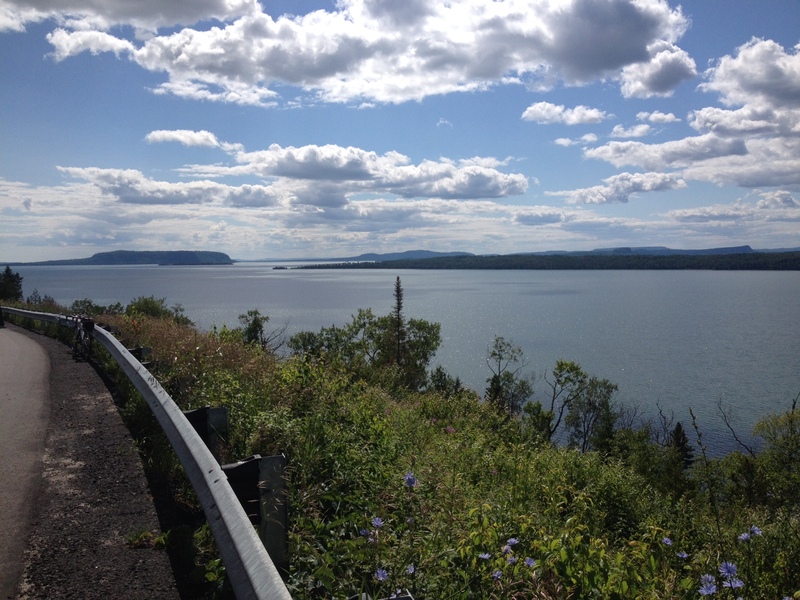 Most of the day we were close to the Lake Superior shore line on Hwy 17. What a beautiful ride. Of all the riding we have done so far today would be in the top 3 or 4 most spectacular views. It would be nice to spend a couple weeks in this area. It reminded me of the Rockies. We had some significant climbs and the wind was with us part of time and against us part of the time. 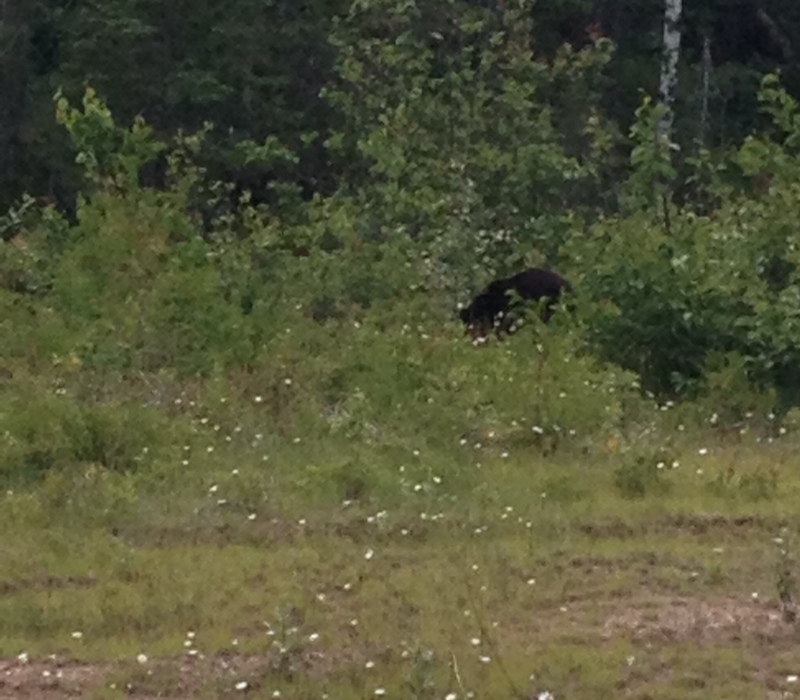 We did see a young black bear that stayed around long enough to have a picture taken. Mid-afternoon Richard’s bike had a significant break down which rendered it unusable! 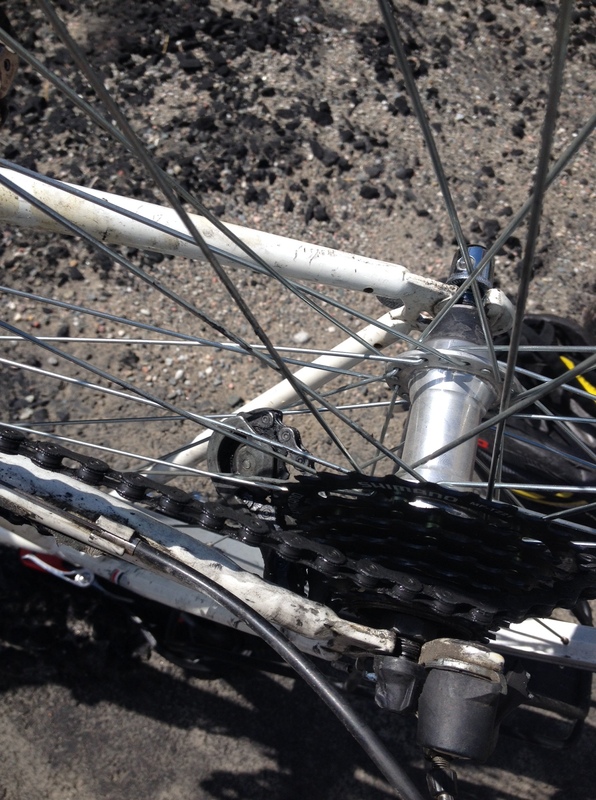 His rear derailleur broke. He ended up on the pavement but no cars were coming at that moment! Since Rob is still not riding because of his crash on the 17th, he offered Richard the use of his bike. What a step up for Richard. Rob’s bike is a new carbon fiber road bike. Richard’s bike is an old steel frame bike. 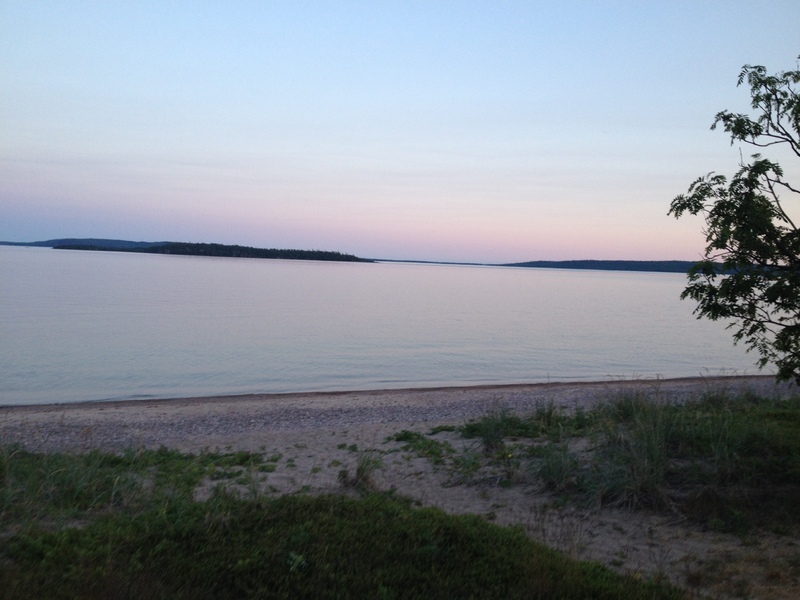 Tonight we are in a camp ground on the shore of Lake Superior, no presentations. In fact it’s 9:30 pm and I’m the only one that is not in bed! If all goes according to plan, one month from today we will be on the east coast finishing this amazing cross Canada ride. What a great day and it is time for bed! Did you get a chance to eat at Hoito? Ride on lads! Glad to see you guys are doing good . How is Rob doing?